Redbridge takes its name from an old bridge with; you guessed it, red brick! The bridge was over the River Roding and as red brick was unique for bridges at the time the area come to have its name. There’s an abundance of small parks and sports grounds all over Redbridge, the two biggest open spaces are the local Forest and the Flats. 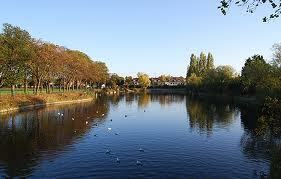 A good day out with the family is never too far away, and many of the parks here are dog-walkers paradise. There are an overwhelming number of places to visit, entertainment is in no short supply. If you want to know about the history Redbridge then libraries have book after book to read through. If physical activities are more your thing there’s the Fairlop Waters which gives you the chance to learn to sail, or the Cycling Centre where you can really get into gear. If you know the area inside and out like we do then you’ll know that it’s not just thriving in the day time with cafes, shops and activity centres, at night the place takes on a life of its own with places like Faces in Gants Hill, or for a more traditional evening out there’s excellent standard pubs. If you’re looking for a caterer you might already know of the great spots above, many people choose them for their event venue, but there’s literally too many venues here to name. We’ve been hog roast Redbridge jobs at hundreds of venues and we probably still have only scratched the surface! 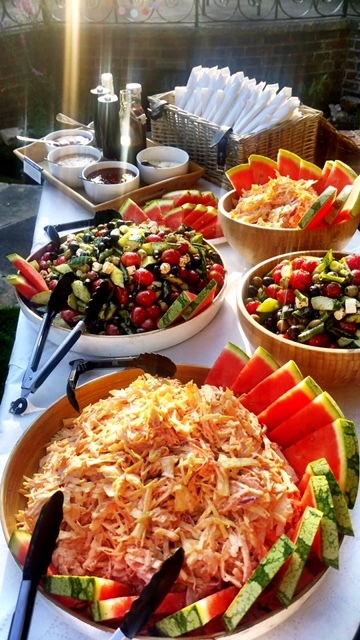 We cater at birthday parties, awards dinners to wedding receptions and anniversaries, and clients and guests in all their varieties fall in love with the spit and tray roasts our chefs create for them. Side dishes, starters, even canapés are raved about at events, it’s mind boggling how we manage to create top quality, well, everything. Clients in Redbridge expect the greatest hog roasts from us, very few of them realise that the other dishes we make are just as good until they’ve had it and seen for themselves! But our passion and our forte is spit roasting pigs and other whole meats, there’s a reason we’re called Spitting Pig after all. If you want a hog roast Redbridge for any conceivable event you’ll find one. Not only are we great hog roast makers, we’ve also honed our craft in event planning and with those two skills together we can come up with a hog or spit roast package that surpasses your requirements for any occasion. If you don’t find an already created spit roast menu for our menu – and the likelihood is you’re going to, because the majority of our clients in Redbridge do – then via communication with our chef you’ll be able to alter a menu to suit you, adding or detracting what you want. Your bespoke menu will even be created from scratch if you want to take your event uniqueness to a new level and really push the boundaries of hog roast catering. There are two ways to roast a pig, or any of the other meat options, the first and preferred option for us – and our clients, which goes without saying – is to spit roast the meat. When the meat is spit roasted the repeated rotation of the skewer helps get the juices into every nook and cranny of the pig, it’s also a little bit better than tray roasting because who doesn’t marvel at an image of a pig being spit roasted, it’s a more boastful and powerful sight for your guests and will have their stomach growling with hunger. 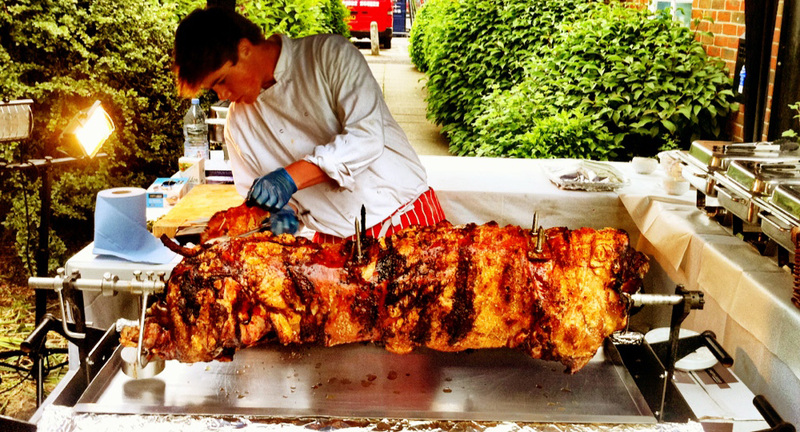 Both types of roasting a pig can be done if you choose a hog roast hire Redbridge plan. We’ve created and can offer a couple of different hog roast machines for spit roast and tray roasting. If you didn’t know the machines have adjustable attachments, you’ll notice in our menus that we have different selections for roast meats, we can do so many meats because of the adjustable attachments, and the machine that you hire will have the same purpose-designed attachments so you can roast all the meats you want. The hog roast hire Redbridge is available to you for a day, a week or a month. If you’re wanting to hire for longer you’ll have to call us and we’ll work out a deal for you. We recently hired out one of our machines to a couple who had just put their house up for sale and were holding an open viewing of the house and were expecting up to 40 guests to come and view it. We thought it was a nice touch to offer them food at the viewing so we dropped off the machine in the morning and stayed with the couple for a few hours and made sure they knew exactly what to do to make the hog roast succulent and juicy. It was quite a fitting meal for a viewing at a large farm house. We left them to test their culinary skills as the hog roasted away. We went to pick they machine up a few days later and were delighted to see that they had cleaned the machine which saved us a job and they then began to tell us about how successful the viewing was and how well the food went down. This is what we love to hear at hog roast Redbridge.